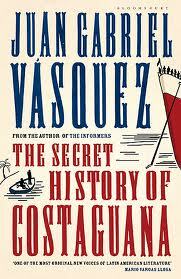 Unlike last year, when Juan Gabriel Vasquez made it through to the short list for the Independent Foreign Fiction Prize with his first novel,The Informers, The Secret History of Costaguana has not reappeared for round two. Though this may be partly down to the competing attentions of other South American novels (the other three are through), it has to be said that the central conceit of the novel is not entirely successful. The meeting between them takes up only a few pages (though every so often Altamirano reminds us what Conrad is up to); the bulk of the novel is taken up with Altamarino’s life, his father’s life, and the life of his country, Columbia – the story that he claims to have shared with Conrad during that meeting. But, as Conrad says when Altamirano asserts that Nostromo is false: “That, my dear sir, is a novel.” Vasquez may have cleverly taken the fictionalised history of Nostromo and turned it back into the factual history of Columbia, but I remain unclear as to whether this implies criticism of Conrad’s fictionalisation. Of course, it may not, and may simply be a device for attracting attention to what would otherwise be a novel about the history of Columbia. This would be ironic as where he is particularly successful is in portraying that turbulent history, both in the general (with frequent references to the Angel of History) and in the particular. There are two stand-out examples of the latter. One is where he provides the history of a rifle over eight pages; another is when he spends thirteen pages focusing on a particular soldier. Vasquez is clearly a very talented writer and, while this may not have quite the impact of The Informers, it also an excellent novel. Having covered almost 150 years of Columbian history in his first two novels, it will be interesting to see what he does next. Recently I seem to have read a number of novels which explore the relationship between Nazi Germany and Latin America, from Jenny Erpenbeck’s outstanding The Book of Words to the less cerebral A Quiet Flame by Philip Kerr. The Columbian writer, Juan Gabriel Vasquez’s, first novel, The Informers, tackles similar territory with both a narrative and structure that focuses on stripping back, layer after layer, towards the truth. The truth which the narrator, Gabriel Santoro, is searching for relates to his father’s life. The novel begins by outlining a conflict between them – the cause of that conflict being Gabriel’s decision to write about the life of a family friend, Sara Guterman, a Jewish woman who escaped from Germany to Columbia in 1938. His father (also called Gabriel) objects to this to the point where he writes a savage review, even though his expertise is in the area of oratory, on which he lectures, and he would not normally lower himself to print. This rift only begins to be healed when the father requires heart surgery, and Gabriel and Sara help him recuperate. It is, however, only after his father’s death in a car accident (which may not have been an accident but suicide) that the secret his father has been hiding from is revealed: that he falsely informed on Konrad Deresser, his friend’s father, during war-time when Nazi sympathisers in Columbia were blacklisted. Deresser lost his business and his family and never recovered, later committing suicide. This revelation is made publicly by his lover, Angelina, ruining Gabriel senior’s posthumous reputation. 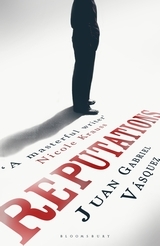 As one of the Bogota 39, Vasquez represents a new generation of South American writers, and in style and structure this novel can be seen as almost anti-magic realist. The story is presented in the format of a documentary, and the characters are delivered to us in a series of autobiographical segments, directed towards the reader in written or spoken format. As well as the first person narrative there are extracts from the taped conversations with Sara, and a number of lengthy conversations with other characters like Angelina and Enrique, Deresser’s son, which allow them to tell their stories. That this is a novel that is concerned with the possibility of recreating a life can be seen from the inclusion of the word “life” in the heading of each section apart from the Postscript. The Postscript is another device used by the author to create a documentary feel: it purports to be written in 1995, a year after the book “The Informers” was published. (The Informers was published in 2004). This is in keeping with the way that the novel is structured as an ongoing investigation – we only know what Gabriel knows at that time, not at the time he is writing about it. The most striking example of this is when he reads Deresser’s letters. They are in a folder in reverse order, i.e. the last one first, and this is how they are reproduced in the novel. (I couldn’t help it – I read them chronologically). Clearly this is a novel about betrayal. It is Gabriel’s father’s betrayal that is the secret that he hides from his son. He feels betrayed by his son when he writes about Sara, revisiting a past he wishes to stay buried – and, in turn, betrays him with his criticism of the book. Angelina betrays her lover by revealing his secret – she informs on him – but she does so because he abandoned her, and she also felt betrayed. It is also a novel about the impossibility of knowing someone. 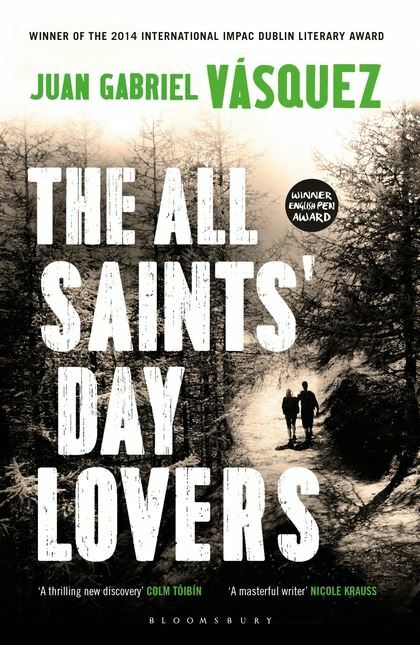 Perhaps Gabriel’s father is also angered by his book because it suggests he feels he can sum up someone’s life in print, that he can understand someone without even having lived through the same times as them. In order to keep his secret, Gabriel’s father has falsified more than one aspect of his life: his ability to speak German, the way in which he lost the fingers of his right hand. His son has not really known him at all. Vasquez’s style emphasises this theme by presenting characters largely in their own words. This may seem superficially a path to greater insight, but it allows us few other clues to their lives beyond what they tell us. By the end of the novel, for example, we know remarkably little about the narrator beyond what relates to his relationship with his father and his attempts to understand him. This is an accomplished first novel, stylistically astute, and engaging both as a historical study and as the portrayal of a father-son relationship. You are currently browsing the archives for the Juan Gabriel Vasquez category.